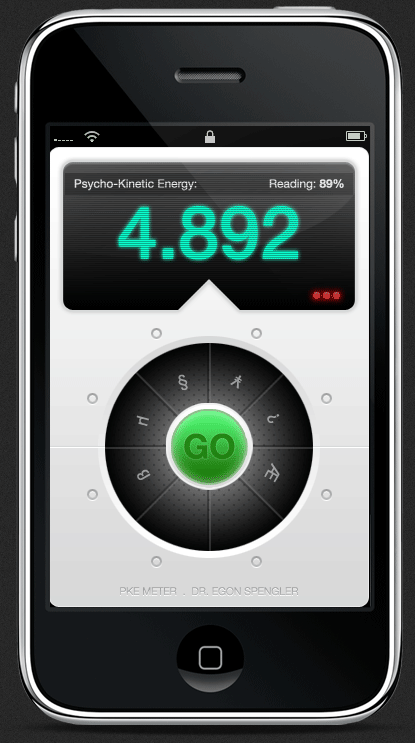 Follow in the footsteps of Ghostbuster legend Egon Spengler and become a doctor of parapsychology with the PKE METER app for iPhone. Track sources of psycho-kinetic energy. © Paranormal Lab of Columbia University. Use of PKE METER for long periods may result in brain cell mutation.